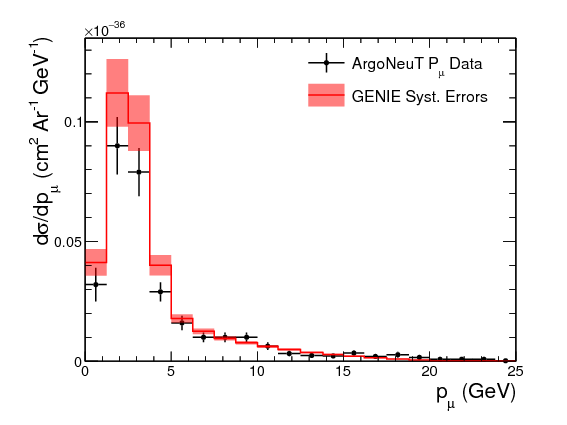 NUISANCE aims to provide a coherent framework for comparing neutrino generators to external data. NUISANCE can also tune cross-section parameters to available data. The NUISANCE Slack chat: nuisance-xsec.slack.com. If you want access without a @fnal.gov, please email us. Documentation on the NUISANCE installation procedure is available here. 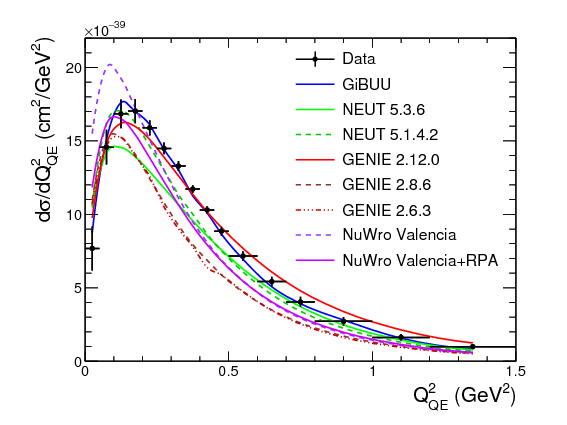 We have over 250 cross-section distributions publicly available for GENIE, NuWro, NEUT and GiBUU. For the full list of distributions, please see here. The NOvA-MINERvA cross section workshop at FNAL was great and we're happy to have be working with new people. Let's cross section more! We're preparing for the T2K interaction model tuning for 2019+ analyses. We've also weasled our way into developing the DUNE interaction model for the Technical Design Report, fingers crossed! We've (hopefully) recovered from the HepForge migration from trac to phabricator. Unfortunately this means our wiki is no longer supported, although the information is still stored here. We're working on setting up the github mirror again and commit messages to Slack. Additionally, all NUISANCE authors have now finished their PhDs, woho! Onto summer conferences! The NUISANCE overview paper has been published in JINST. Thanks everyone for the help and support. 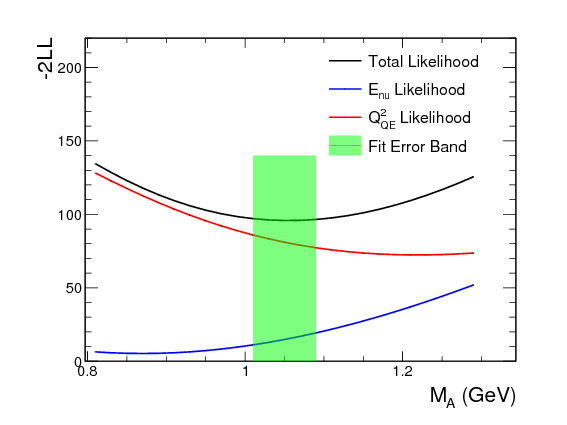 Stay tuned for multi-generator tuning papers! We're busy filling the wiki with tutorials and howtos. Check it out in the sidebar! If there is a different generator you would like us to implement please let us know. 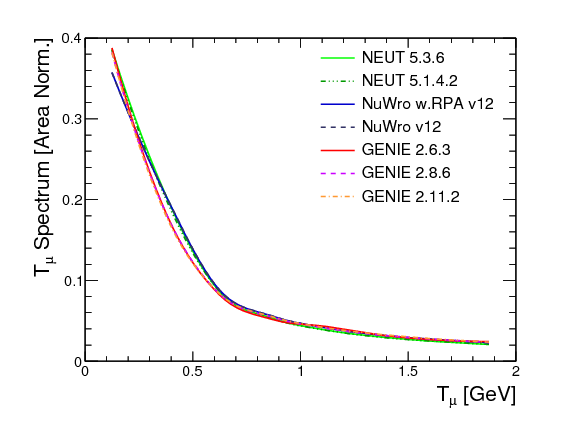 The structure of the NUISANCE core classes promotes consistent comparison of different generators by converting each format into a common NUISANCE event format. Tools are included to convert these events into simple 'flat tree' formats that can be analysed with ROOT alone. 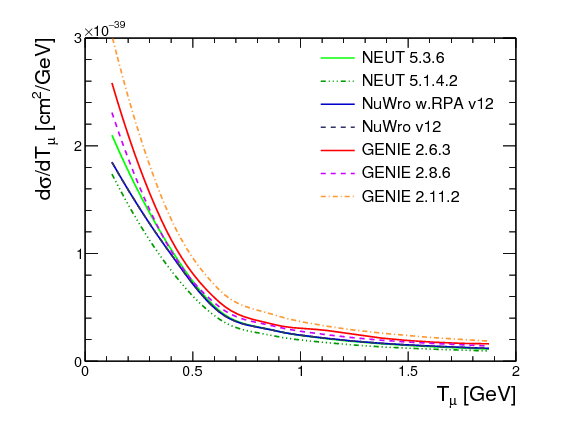 Figure 1: Raw Generator comparisons with NUISANCE for the MiniBooNE flux with CC1pi+ final state. (left) Shape comparison. (right) Normalised cross-section comparison. The NUISANCE tool "nuiscomp" can be used to generate comparisons of any of the different generators supported and any dataset class already implemented into the framework. Figure 2: Model comparisons with NUISANCE. (left) MiniBooNE CCQE numu. (right) MINERvA CC1pi numu. Generator ReWeight dials can be provided to NUISANCE to produce modified cross-section predictions. 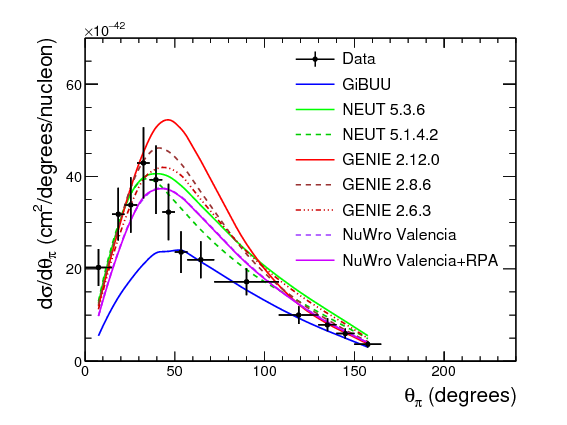 The "nuismin" application interfaces these reweight dials with ROOT's minimizer libraries to support automated model parameter tuning using various possible parameter estimation routines. 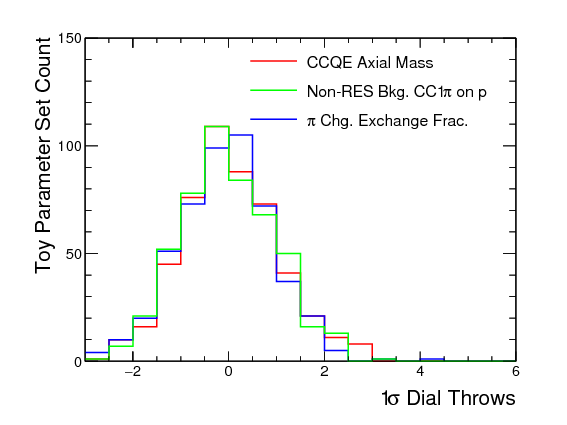 Figure 3: ANL Automated Tuning of the CCQE Axial Mass Parameter in NEUT. (left) Likelihood Scan. 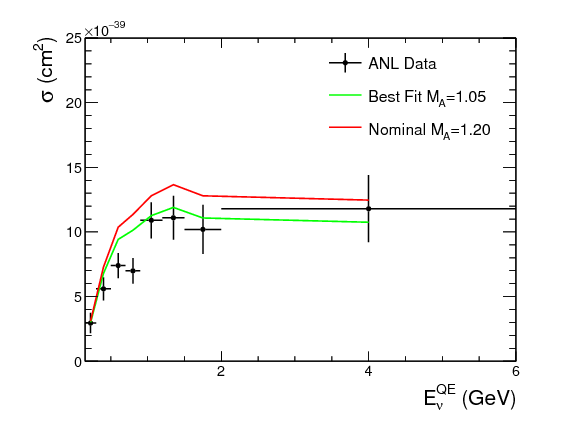 (right) Enu ANL Cross-section Data. The NUISANCE tool "nuissyst" is provided to support the study of cross-section systematics for neutrino experiments. Different routines are implemented to validate reweight parameter responses and generate systematic error bands from arbritrary covariance matrices for those parameters. Figure 4: GENIE MC Toy Throws used to create systematic error bands. (left) Example 1-sigma reweight dial variations. 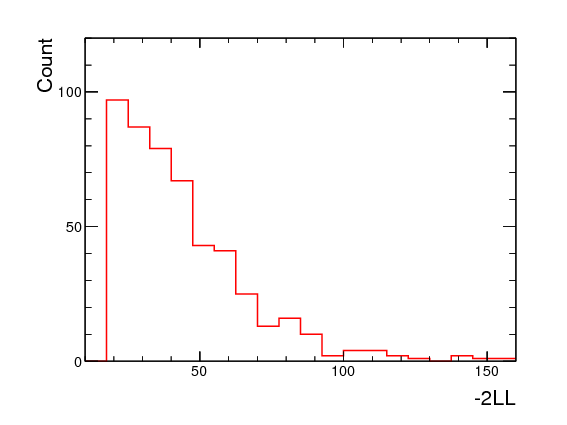 (right) Likelihood distribution for all toy throws. 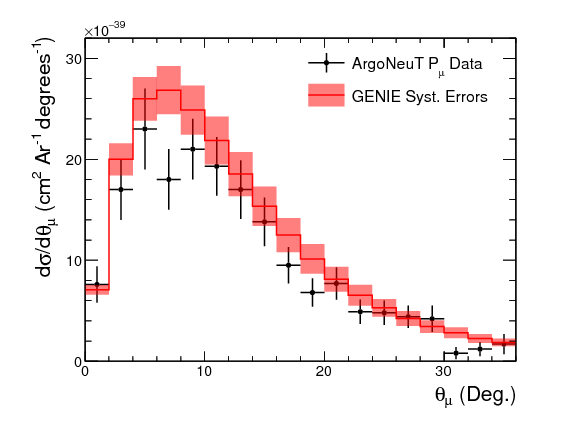 Figure 5: GENIE MC Systematic Error Bands for ArgoNeuT anti-neutrino data. (left) Muon Momentum. (right) Muon Angle.